Did you know there is a difference between a soy candle and a parrafin wax candle? Learn more below, then head over to www.scentedseasons.com to find your favorite scent! 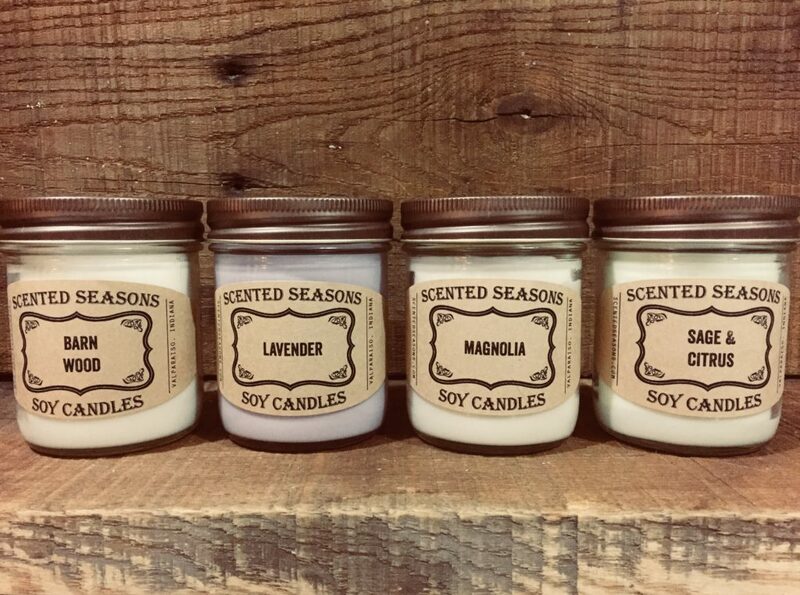 Soy candles are made from soybeans, a natural, renewable source grown in many regions by local farmers. Paraffin candles are made from petroleum, which is a nonrenewable source that contains carcinogenic substances. These substances may be released into the air. Using candles made from soy supports local agriculture and farmers, allowing them to make money and grow their operations. A candle made from soy wax burns cleaner with little soot released as the candle burns. Paraffin candles often create a significant amount of black soot that collects on the jar, as well as on your walls and other surfaces of the home. The soy candle may accumulate some black soot on the jar, but the amount is much less than paraffin candles. Soy candles are also non-toxic, so they won’t release toxins into the air as they burn. Soy candles typically last longer than a paraffin candle of the same size. The reason behind the longevity of soy candles is the slower burning time and cooler burning temperature of the soybean-based wax. You may pay more for a soy candle initially, but the longer-lasting burn means you won’t have to buy new candles as often. Soy wax is also biodegradable, making it an investment that benefits the environment. A soy candle works well for holding onto the scent from essential oils, which are often used to scent candles. Because they burn more slowly, the scent is gradually released; there won’t be an immediate wave of strong scent. This creates a more pleasant atmosphere for most people. The natural wax also holds onto color well, which makes it look more attractive. That is really cool that soy candles last longer generally. That is something that I would want to have if I were to have a romantic evening. Maybe I should look into getting a candle lantern and using it for romantic evenings.